How many of you have patients in your office who are athletic and say they are competing better than they did before they started receiving chiropractic care? These subjective patient testimonials/anecdotal reports abound…"I don't get injured or sick as often, I am more flexible, I have better range of motion, I can see the ball better, my hand-eye coordination has improved" are comments that we have all probably heard one time or another. Whether or not you are a sports-specific chiropractor, you probably have a patient or two or more who participates in sports on a regular basis. Whether it is tennis, running, golf, weight lifting, skiing, pilates or triathlons, their athletic performance probably has improved somehow because of the chiropractic adjustments they have received. And the term "athlete" is used loosely here and does not focus solely on those individuals who work out 5-7 days a week. The term "athlete" is for those individuals who participate in a sport on a regular basis, whether or not they are in it for serious competition or weekend fun. Most athletes have come to recognize chiropractic care as an excellent injury prevention and treatment option. But beyond that, they need to realize that chiropractic provides many additional benefits that can boost performance naturally and can make a difference in their results. As chiropractors, we can provide this type of "wellness care" to our patients and help to maximize their potential. But what is wellness? In his new book The Wellness Revolution, world-renowned economist Paul Zane Pilzner calls wellness the "next trillion dollar industry." He predicts that by the year 2010, an additional $1 trillion of the U.S. economy will be devoted to products and services that keep us healthy, make us look or feel better, and prevent diseases from developing altogether. Stedman's Medical Dictionary, 26th edition, doesn't even include a definition of wellness in the book. The 2nd edition Oxford Dictionary, however, describes wellness as a "healthful condition through proper diet, exercise, and preventive medicine." Pilzner describes the wellness business as being "proactive. People voluntarily become customers-to feel healthier, to reduce the effects of aging, and to avoid becoming customers of the sickness business. Everyone wants to be a customer of this earlier-stage approach to health." Though you may not personally agree with the terms preventive medicine, wouldn't you agree that those two definitions fit in with the chiropractic paradigm? So how does this relate to our patients that are athletes? Don't many of them have a health and wellness conscious attitude to begin with? It doesn't matter what level of participation they are at, or whether they come to us "asymptomatic" or "healthy" or "normal," they still can benefit from chiropractic care in order to optimize their health and maximize their performance. And those who don't come to us, we need to get the word out to them that chiropractic care can help maximize their performance. The exciting thing with promoting wellness and peak performance is that it varies person by person. You do not need world-class athletes to make a difference. For example, if you have two triathletes, one working just 20 hours a week and training for races the rest of the time, and another one working 50 hours a week with much less time devoted to training, their race results will surely be different. A team of tennis players will consist of those with natural talent versus those who with not-so natural talent, as well as those with years of playing experience versus those newcomers. In both of these situations, and others similar to them, you can't compare results or performance person to person. However-and this point has to be emphasized to the individual patient-you can compare the person to themselves and you can compare what their experience has been like before starting chiropractic care and during/after starting care. Emphasize to them that chiropractic care can maximize their individual performance on whatever ability they have and training time they have available. Perhaps one of the more publicized research papers ever published said that athletes under regular chiropractic care performed better than athletes not under chiropractic care. Two groups of athletes were used in the study, both male and female, and none of who had ever been under chiropractic care. The authors measured athletic performance in several categories; agility, balance, kinesthetic perception, power and reaction time. One group was given chiropractic spinal adjustments for a 12-week period of time, and the other group was not. After six weeks, the athletes were again tested and the group under regular chiropractic care performed 10.7 percent better than the group that wasn't under chiropractic care. After 12 weeks, the athletes receiving chiropractic care demonstrated a 16.7 percent average increase in athletic performance as compared to the control group. Zhang, M.D., Ph.D., et al studied athletic performance and physiological measures in baseball players by measuring vertical jump, broad jump, muscle strength, blood pressure, pulse rate, microcirculation and treadmill stress testing. Athletes were randomly placed into two groups, one control group and one that received chiropractic adjustments. Athletes were tested prior to starting chiropractic care, and at five and 14 weeks into care. Results showed that "In each instance of improvement the adjusted group demonstrated substantially greater percentage increases relative to baseline than did the control group." "Kessinger measured changes in pulmonary function associated with upper cervical chiropractic adjustments on 55 subjects. Twenty-two of the 55 were 'typical' subjects, that is, they presented within 'normal' range of Forced Vital Capacity (FVC) values. Following two weeks of chiropractic care, 73 percent of these 'typical,' normal range subjects further improved FVC values by 6 percent. Thirty of 55 were 'typical' subjects, that is, they demonstrated a normal range of Forced Expiratory Volume per 1 second (FEV-1). Following two weeks of chiropractic care approximately 47 percent of these 'typical,' normal range subjects further improved FEV-1 values by 6 percent. Overall results of the study indicated that pulmonary function improves significantly in subjects under upper cervical chiropractic care." "Subjects underwent 12 sessions of chiropractic adjustment (in conjunction with muscular rehabilitation) over a 4-week period. Compared to four control subjects, a statistically significant decrease in lumbo-pelvic asymmetry was observed. Following care, all 12 subjects with sacroiliac subluxation had reinstated their preinjury training mileage. Five of 12 subjects (40 percent) reported their personal best performance over the 10-kilometer distance run. Two subjects achieved personal best times over the marathon distance (42-kilometers). All (100 percent) subjects reported enhanced awareness of posture and flexibility in addition to reduced symptoms." If you or your patients are an athlete, wouldn't you want to see performance improve by 16.7 percent? How would that affect running, lifting, a golf swing, or tennis serve? Can we assume that fact that since these individuals are under chiropractic care also means their lung capacity is improved as well, as noted by Kessinger? Since the feet are the body's foundation, they absorb forces from the rest of the body and when involved in running or jumping, forces can increase three to seven times as much. Optimal foot balance and function can help athletes perform at their best. Often times, foot imbalances are not always painful, though these imbalances may be noticed at the knees, pelvis or spine in some sort of musculoskeletal system compensation. John Danchik, D.C., notes that "In comparable individuals, 25-degree foot flare can add up to an energy expenditure of .20 miles per mile run, or an extra 88 yards per mile in efficiency." That means wasted energy, slower times, and decreased performance. The best advice for parents who have children involved in athletics is to help them prepare their bodies, and to learn to protect themselves from sports-related injuries before they happen. A proper warm up exercise and stretching program is essential for youths involved in sports. However, many children learn improper stretching techniques or do not stretch at all, making them more susceptible to injury. Both parents and coaches need to work with their kids and make sure they receive the proper sports training. Before participating on any given day, young athletes should begin with a slow jog to warm up, and stretch all the major muscle groups, including the legs, arms, and back. Holding the stretches for 5-10 seconds will gain the most benefit, rather than bouncing. As children get older, the stretches can be held for longer periods of time and proper weight lifting can be introduced when they become teenagers. Proper nutrition and hydration are also extremely vital. The requirement of drinking eight to ten 8-ounce glasses of water every day is not only for adults. These days, too many youths drink soda, juice and milk for hydration, even though water is the best for proper absorption into the body. Young athletes today often think they are invincible. The following tips can help ensure your child does not miss a beat when it comes to proper fitness, stretching, training and rest that the body needs in order to engage in any sporting activity. * Follow a warm-up routine. Be sure your child or his/her coach includes a warm-up and stretching session before and after every practice, game or meet. 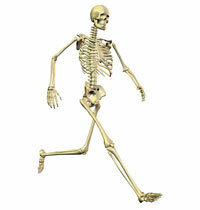 A slow jog, calisthenics, and/or lifting small weights reduce the risk of ripped or torn muscles. Flexibility becomes key when trying to score that extra goal or make a critical play. * Maintain a healthy weight. Children that are overweight are unhealthy just as much as youths that are underweight. Be sure your child does not feel pressured into being too thin and that he/she understands proper nutrition and caloric intake is needed for optimal performance and endurance. * Drink water. Hydration is a key element to optimal fitness and function. Teenage athletes should drink at least eight 8-ounce glasses of water a day. Younger athletes should drink five to eight 8-ounce glasses of water. * Avoid sugar-loaded, caffeinated and carbonated drinks. Sports drinks are a good source of replenishment for those kids engaged in long-duration sports, or those exercising more than 60 minutes. * Wear the proper equipment when required and make sure that the equipment is properly fitted to the child. Make sure all equipment, including gloves, shoes, and helmets fit your child or adolescent properly. * Eat healthy meals. Make sure your young athlete is eating a well-balanced diet and does not skip meals. Avoid high-fat foods, such as candy bars, fried food and fast food. At home, provide fruit and vegetables rather than cookies and potato chips. * Get plenty of rest. Eight hours of sleep is ideal for young athletes. Lack of sleep and rest can catch up with the child and decrease performance. * Have your child examined by a Chiropractor. Doctors of chiropractic are trained and licensed to treat the entire neuromusculoskeletal system and can provide advice on sports training, nutrition and injury prevention to young athletes. A proper chiropractic evaluation by a qualified pediatric chiropractor can keep them in the game and help to minimize if not prevent injuries, particularly those leading to spinal injuries. Often time, minor spinal injuries go unnoticed until adulthood, when pain sets in and it thus takes longer to make corrections.